In October 2011, the iPhone 4S was announced, which retains the same form factor but includes many upgrades such as the A5 processor, iOS 5, and an improved camera. Compared with iPhone 4, iPhone 4S has more brand new features and it is not just the updated version of iPhone 4. The iPhone 4S comes with a faster processor, a better camera, a smarter virtual assistant and twice the storage of its predecessor -- if you don't mind paying for it. Just the same as the iPhone 3GS did before to the 3G, the appearance of 4S has a great effect on the iPhone 4 sales and market and brings the iPhone 4 down to second-class status, making those Apple fans crazy to own this most advanced product. Apple says it is the most amazing iPhone ever. Many people will be curious about how to enjoy Blu-ray movies on iPhone 4S. Is it the same as iPhone 4? Yes, with the same built-in image processing system, iPhone 4S seems to perform the same effect as iPhone 4 did in dealing with and playing video files. So you still are not able to directly play Blu-ray films or movies on iPhone 4S, since the video handling ability of portable devices is still at a low level. So, is there any idea to solve the problem and make it possible to take Blu-ray videos with you and enjoy them wherever and whenever you want? 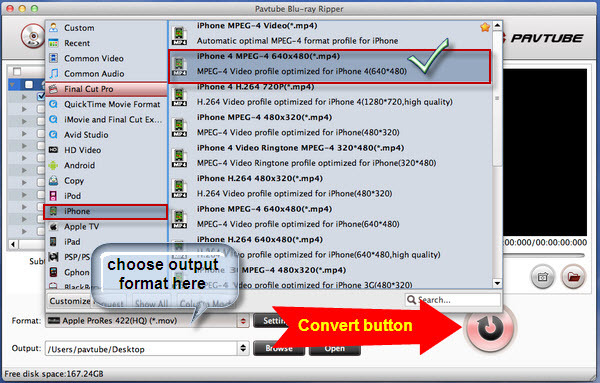 Pavtube Blu-ray Ripper for Mac is helpful to help you manage to convert Blu-ray movies to compatible formats for playing on iPhone 4S. Before the conversion, you need to ensure that the internet is connected. 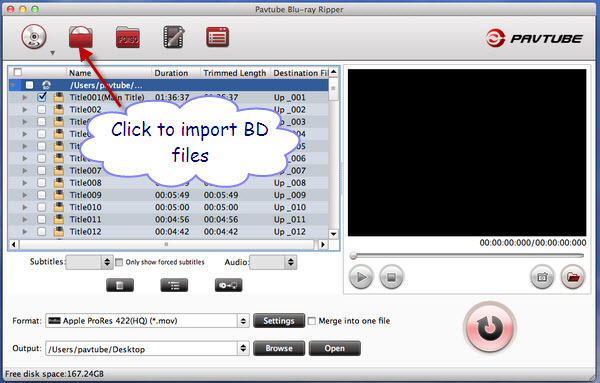 The first step is downloading Pavtube Blu-ray Ripper for Mac and installing it to your Mac hard drive in a correct way. Then, you can click the add button to add the BD resource to the program after launching it. The program supports three ways to import BD resources. You can import BD films and BD ISO/IFO files into the program which is the same as direct importing from the BD ROM. As the BD movies are restored on your Mac hard drive, you just need to click the first button to choose to import BD movies. After that, choosing the output format is the most important thing for you to do. As you want to play Blu-ray movies on iPhone 4S, just click the format bar and find the iPhone output option on the format menu. 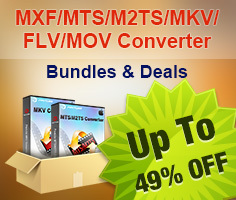 IPhone 4 MP4 format is recommended as the most suitable output format. The last step is to find the convert button at the right side of program interface and click it with ease. The conversion from Blu-ray movie to iPhone 4S MP4 will start at once and you can get the converted MP4 videos after the conversion finished. Of cause, if you want to enjoy Blu-ray movies on iPhone 4S, you still need connect your iPhone 4S to Mac and transport the movies to SD storage card in iPhone 4S with the help of iTunes. Only in this way, you can freely play and enjoy Blu-ray movies on iPhone 4S.